Alcohol is said to be the third largest risk factor for disability, loss of health and premature disability. Consumption of heavy alcohol affects the entire body and do not spare a single part of the body. 1. Hypertrophic cardiomyopathy: It is a condition in which the part of the heart becomes thick and makes it difficult for the heart to pump blood properly. Irregular heartbeat, heart attack, and sudden cardiac death are some of the complications associated with this disease. 2. Dilated cardiomyopathy: It is a condition in which the heart becomes enlarged and fails to function properly. It can lead to the development of diseases such as heart valve disease. 3. Restrictive cardiomyopathy: It is the rare and the least common type of cardiomyopathy and it is a disease in which the heart of the affected person becomes rigid. Heavy consumption of alcohol can impair the functioning of the liver. In fact, long term alcohol use is one of the leading cause of illness and death from liver disease in the United States. The liver is one of the most important organs of the body as it plays a vital role in converting the food into energy. Consumption of heavy alcohol plays a major role in the development of alcohol related liver damage and the symptoms of liver damage may not appear until the damage of the liver is serious. Fatty Liver - Alcohol can cause fatty liver in which the fat gets deposited in the liver and it is an irreversible condition and can cause serious damage. Alcoholic Hepatitis - Consumption of heavy alcohol can also cause alcoholic hepatitis, a disorder which is characterized by an inflammation and destruction of the liver tissue. It replaces the healthy tissues with the damaged ones. Alcohol affects the brain in many different ways and it increases the risk of various behavioural disorders and can also lead to the brain damage. 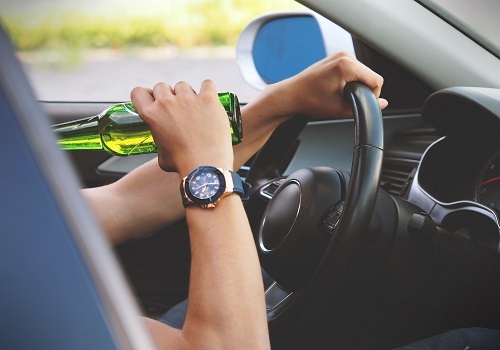 Cerebral cortex and subcortical areas such as the limbic system, the thalamus, the hypothalamus, the forebrain are the most affected areas of the brain that are affected by the alcohol. Blurred vision, impaired memory, difficulty walking are some of the signs that can be seen only after a few drinks. Heavy consumption of alcohol has a major effect on the brain. Deficiency of thiamine is a common thing in the people who are alcoholic and the deficiency of thiamine results in the damage of the hypothalamus. Also, deficiency of thiamine can lead to the development of severe brain disorder such as Wernicke korsakoff syndrome and this disease is characterized as mental confusion, difficulty in muscle coordination, and the paralysis of the nerves that moves the eyes. The immune system of the body serves as a defense against the infection from the foreign substances and an impairment of this system increases the risk of various infectious diseases. It is known that alcohol alters the immunity functions and people who consume heavy alcohol are at high risk of developing infectious diseases as compared to those who do not consume alcohol. Cytokines released by the immune cells control the functioning of the immune system by producing extra immune cells. The main function of cytokines is to attract additional cells. Alcohol affects the production of cytokines and the damage depends on the duration and the amount of the alcohol consumed. Acute alcohol suppresses the response of cytokines whereas chronic alcohol exposure promotes inflammation and impairs the response of the cytokines. Suppression, inflammation, and impairment of the cytokines leads to the impaired host defense response to infections. Share this post with your family and friends and make them aware of how adversely excessive drinking can damage the parts of the body. Also, share your opinions in the comment section below. Stay Safe, Stay Healthy!! How alcohol is affecting blood pressure?